What Is L.E.A.N.? - L.E.A.N. 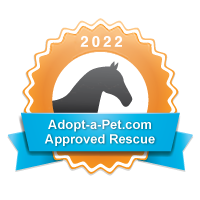 Our mission focuses on using a network of fosters, volunteers and sponsors to rescue horses seized by or surrendered to the Animal Control agencies of Clark County, Nevada. L.E.A.N. has been the last hope for many horses and donkeys with no place left to go. L.E.A.N. is unlike other rescue programs in that we do not have a physical ranch or sanctuary. All the horses are placed into private foster homes and cared for by the members of that house or barn. L.E.A.N. 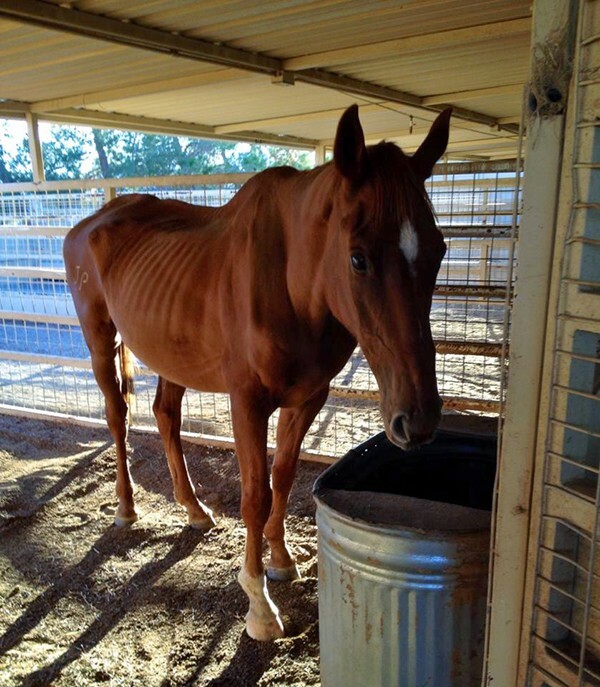 covers the cost of feed, medical, farrier and other needs while the animal recovers under the loving care of its foster home. When the horse is ready, a careful saddle assessment is conducted to find out as much as we can about the horse, its likes and fears, and what it knows under saddle. Then we take our time to match the right applicant to the horse, ensuring everyone is happy. Our goal is a forever home, not just any barn. The application/approval process takes time – adoption is a process, not a purchase. This was JP’s first day in foster care and busy eating once again. Captain Jack with a Santa hat finds a his forever love after being discarded from the track. To view our entire Mission and Operation, please click HERE. L.E.A.N. does not take in unwanted horses from private individuals. For assistance rehoming your own horse, please click HERE. To report a horse who may be suffering abuse or neglect, please contact the Animal Control agency responsible for that location to request a welfare check at the numbers provided below. TO REQUEST A WELFARE CHECK OR REPORT AN ANIMAL in distress, please contact the animal control agency for your area. For loose animals on rangeland, in parkland or forest, contact Clark County Animal Control. Unincorporated Clark County: The mission of Clark County Animal Control is to promote public safety, rabies control and responsible pet ownership through education, service and enforcement. To contact us call (702) 455-7710. For more information, contact Clark County Animal Control. City of Henderson: The Henderson Animal Care and Control Facility exists to serve the community, aid, comfort, and provide medical attention to the animals that come under the Shelter’s care and to vigorously enforce the laws that protect animals and the community. Call (702) 267-4970, option 4. For more information, contact Henderson Animal Control. City of Las Vegas: Animal Control offers 24-hour service, seven days per week. Normal hours of operation are 6:30 a.m. to 10:30 p.m. An emergency callout officer is available after normal business hours. Our 24-hour service request line is (702) 229-6444, option 2. For more information, contact Las Vegas Animal Control. City of North Las Vegas: The purpose of the City of North Las Vegas Animal Control is to educate the public regarding responsible pet ownership and enforcing City animal ordinances. Officers are on duty from 6 AM to 8 PM, seven days a week, including holidays. Call (702) 633-1750. For more information, contact North Las Vegas Animal Control. Boulder City: The Boulder City Animal Control Bureau provides full law enforcement and investigative services for the humane treatment and protection of animals as well as the protection of our community, its people and their property. Call (702) 293-9283. For more information, contact Boulder City Animal Control.